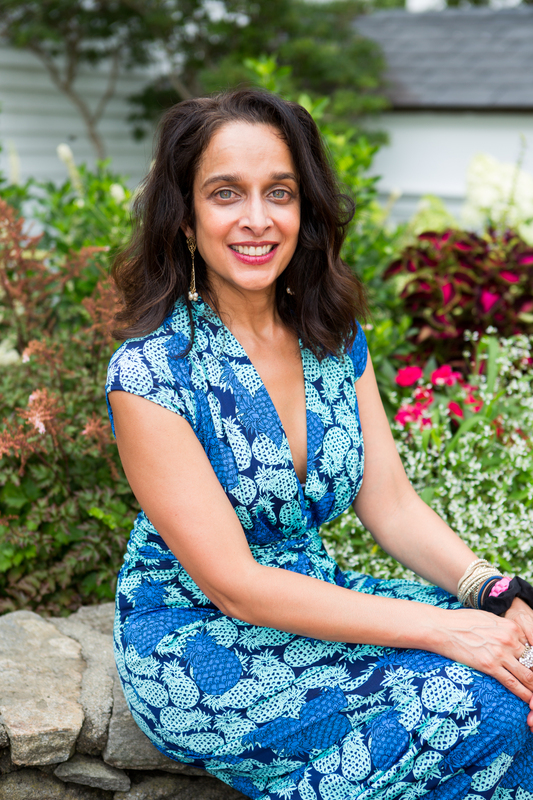 Today we welcome Tanuja Desai Hidier to the blog to share about her writing and music. Tell us a bit about your life as a writer. What drew you to writing and what has kept you writing? Reading! I’ve turned to the pen since as far back as I could hold it, and savor, seep into, fall into, flip a page. I was around five when I wrote my first poems: “The Secret” (spoiler alert: it’s a feather) and “Nelly & Shelly” (the fascination with supertwins commenced early). I wrote mostly poems till my teens; I have boxloads of three-ring binders of them in my childhood home. Some of these poems had melodies too–were first songs, in a sense. As a child I also invented bands and singers: designed their album covers, wrote and recorded songs for them on my tape recorder, and had a whole index card system where I’d draw them on one side, and write their bios on the other. Funnily, none of my singers were ever women of color (always women, though). In fact, I only realized in my 30s, maybe even 40s, that this was the same of my short story characters (and I was writing those from about six years old onwards too—a long time!). Most likely because I’d never seen such heroes and heroines on bookshelves, TV screens, magazine pages (and street: my family was the first of our particular ‘brown’ in our town, and the first to immigrate from both sides of the family in the 60s). Many years later—after eons of procrastination, distraction, and, mainly, self-doubt in terms of not only my ability to write a novel, but whether I even had a story to tell—one of the reasons I wrote Born Confused and protagonist Dimple Lala was to fill this hole on my childhood bookshelf with a South Asian American coming of age story. To create heroes and heroines who more closely resembled those in my own life. My own home. 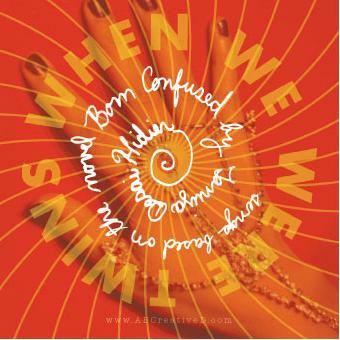 Born Confused is considered to be the first South Asian American YA novel, and recently celebrated its 15th anniversary. 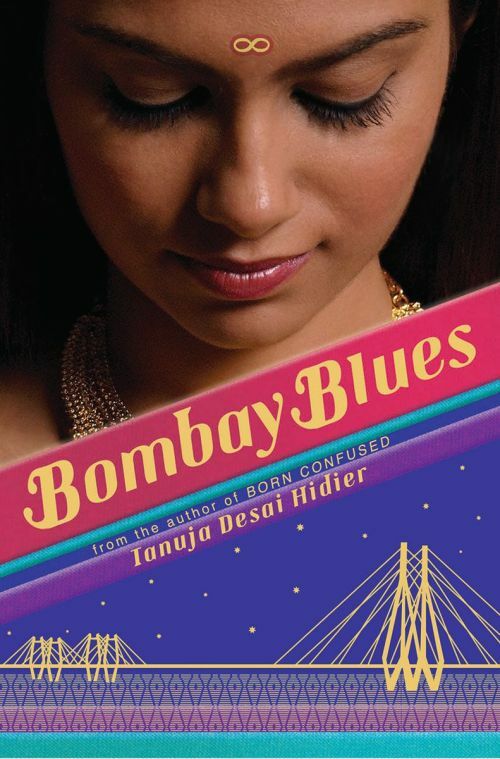 The sequel, Bombay Blues, received the 2015 South Asia Book Award. Can you tell us more about them? All those years ago, when I was writing Born Confused, I didn’t realize so consciously that it was the first South Asian American YA novel. I was just trying to tell my truth. Truths. But funny how when you do that you often stumble across the truths of others. who are supposedly “confused” about where their roots lie—and on one level is a journey towards clarity, turning that C for Confused into a C for Creative…which feels like it better describes the desis in my own life. wild blue yonder (that of her heart as well). In the decade between novels—during which time I also became a mother to two daughters—I explored a few other book ideas. But in the end, I suppose I missed Dimple too much; I was wondering how and where she was, what she was up to… and knew the only answer to that question would be to write it. And Bombay, it became compellingly clear, was where I could find her. Becoming a parent myself certainly crystallized my desire to learn this part of my own parents’ history better: the city of their courtship, of my mother and brother’s birth—yet a place American-born me barely knew. I longed to write my way towards this metropolis of myth and memory—and, hopefully, into it. In the 15 years since you wrote Born Confused, have you seen change in the YA community? Until the readers. And then…FROCK! what a blessing. Thank you to the readers, the librarians, the teachers who have nurtured Dimple (and me! and us!) through all these years. For opening your own hearts and giving us a home. For letting us choose—and write— our heroes. And, what a revelation: WE can be heroes! And you know, during these fraught times, we also MUST be. Our diverse, universal stories are more important than ever. Stories can be such powerful peacemakers: slipping you into the shoes of another and showing you how to walk. And: We can write things into being, too. Show the world not only as it is but how it could be. And show yourself how you can be, too. Are you writing any YA right now or in the near future that you may talk about? Lala’s story: the London book (my base for yeeears, and the beloved city from where where I wrote NYC and Bombay: a Portobello Road flat and Muswell Hill/SoHo cafs respectively). A sister city where every inch every moment you can have a multisensory experience of all the ways race, culture, art, music, diaspora, motherlands intersect. And where Asian culture is such a part of the main and sub cultures. Funny I’ve never written about a place while in it…so maybe I’ll have to pitch home base elsewhere for that London book (and album!) to emerge…? How are your books and music connected? I write songs as well as fiction, and have made albums of original music connected to both my novels (‘booktracks’). When We Were Twins: songs based on Born Confused. 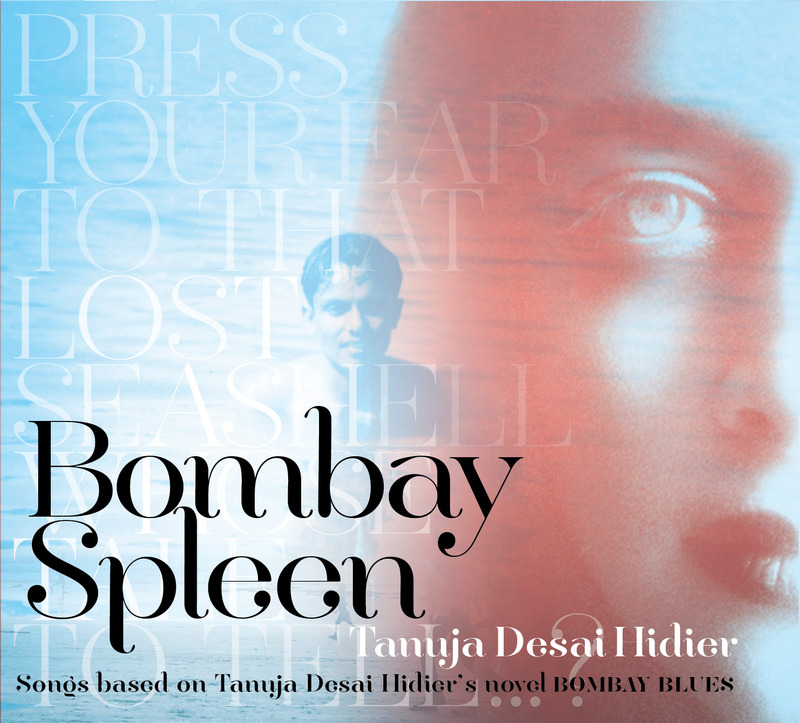 And Bombay Spleen—songs connected to Bombay Blues. It was a natural progression for me to explore the stories in music (I was in a playing /gigging London band while writing Born Confused and had just been in one in NYC, too). Bookwriting, songwriting: They are very much part of the same creative process for me: shining a light on the same story from different angles, and —sometimes more audibly, sometimes more visibly, sometimes in that deep humming writing silence–exploring the same questions. And finally: What are you doing to celebrate Dimple Lala’s 15th anniversary? Celebrating The We! Our communities, our storytellers, our culture-makers-and-shapers. With the DEEP BLUE SHE #Mutiny2Unity #MeToo #WeMix music video project—a year in the making (massive shoutout to editor Atom Fellows)—featuring 100+ artist/activists (including authors Marina Budhos; Gemma Weekes; Kat Beyer; Uma Krishnaswami; Elizabeth Acevedo; Cynthia Leitich-Smith; Paula Yoo; Sharbari Ahmed; Mitali Desai; Eliot Schrefer; Mira Kamdar; Nico Medina; Billy Merrell; Bill Konigsberg). In a way, Deep Blue She is my birthday promise to Dimple Lala: To keep celebrating the ‘skins’ we’re in, honoring our collective and individual voices. And it’s a thank you as well, to the communities I’m blessed to know and call home, for their dedication and determination to fight the good fight. To tell our stories. And be heard. With thanks and love from me and Dimple.